While social media has rapidly overtaken the world and irrevocably changed the way in which we communicate, most such social media networks have remained fairly generalized. Now, a new social media website focused solely on the real estate sector has been launched and is looking to change the way in which real estate agents conduct business. Relola, based in San Francisco, is based on the concept of placing real estate agents first by offering them a platform that will allow them to demonstrate their industry expertise. The seed funded tech startup is designed to provide the tools and platform necessary to provide both homebuyers and real estate agents with a more engaging home search process as well as the ability to communicate in a dramatically different manner. Currently involved in the launch phase, Relola has issued invitation to real estate agents to encourage them to adopt the site early. Once the site is launched in its official capacity, real estate agents interested in participating will need to sign up for a subscription, which begins at $99 monthly. Only a limited number of real estate agents from each state will be allowed to sign up during the pre-launch of the site, at a drastically reduced price of $19.99 annually. The site is set to go into full launch this fall. 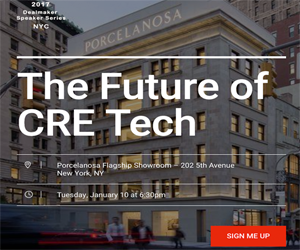 Exactly how the site will work remains somewhat of a mystery, although Relola has stated that it will be unlike anything the real estate industry has witnessed to date. Real estate agents who choose to participate in the site early will be able to take advantage of prime placement once the site officially launches and will also be able to help with fine tuning the site's features. Although Relola has stated that its most exciting features are temporarily being kept under wraps, the site has given a few hints regarding what users can expect, including maximum user customization. In addition, Relola will provide mobile search tools that will make it possible for buyers and agents to collaborate in real time with mixed media, rankings, and notes. The site will also offer a directory of real estate professionals, landscapers, contractors, house cleaners, and more. Home listings with more detail than other search sites will also be made available on Relola. According to Relola, buyers will be able to learn everything they could possibly want to know about homes listed on the site. As technology continues to become an integral part of the real estate industry, the demand for such products increased significantly. Although LinkedIn does a good job of providing a business-to-business social media platform, it is still lacking in that it is not dedicated solely to one industry or sector. Relola is seeking to revolutionize both the world of social media as well as real estate by bringing them together in a single, easy-to-use platform that makes it much easier to connected with expert real estate agents.